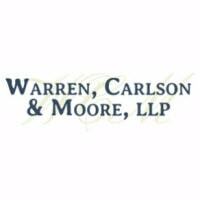 MoreOur mission is to provide personal, cost effective and highly competent attorney and legal services to individuals and small businesses throughout Boulder County and the entire Front Range. We recognize our duties as professionals and members of the community to assist in making legal services available to all residents of the State of Colorado and to actively participate in seeking the betterment of our community. Our law firm is in...Our mission is to provide personal, cost effective and highly competent attorney and legal services to individuals and small businesses throughout Boulder County and the entire Front Range. We recognize our duties as professionals and members of the community to assist in making legal services available to all residents of the State of Colorado and to actively participate in seeking the betterment of our community. Our law firm is in Niwot, but our legal services are offered and lawyers practice throughout Colorado. We look forward to serving all your legal needs.